HIV, unapproved medicinal drugs, transvestite’s and a wannabe cowboy collide in this tale of making money and doing the right thing. When Ron, a homophobic rodeo cowboy discovers he has HIV and only 30 days to live, he resorts to buying a prescription drug to have a fighting chance. When he learns that the drug he’s been taking harms HIV victims he starts to sell the correct, but unapproved drugs, for profit and must fight against the law while getting much closer to the gay community than he would like. The film tackles the pharmaceutical industries choice to fast track certain dangerous drugs with the authorising body seemingly being paid off by the wealthiest companies. But unlike many films that have dealt with large corporate dominance, such as The Constant Gardner or Erin Brockovich, this film tells a much more humble story of the real people suffering. The two main characters, Ron and Rayan, both scramble to obtain any drug that may work, and even Rayan, who is approved a drug, sells half of her medication to a friend for $5000. 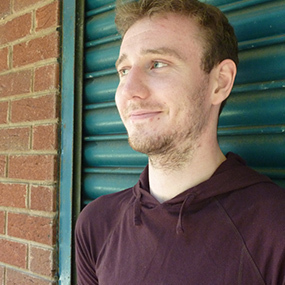 This shows the desperation and camaraderie in the community of sufferers and Ron especially changes his whole outlook and way of living to create a support system. And this is really what Dallas Buyers Club is all about, creating awareness of the corporate giant, HIV and AIDS, and all on a small scale where it really matters; with the people who are truly being affected. The film also offers up to stand out performances from Matthew McConaughey and Jared Leto. The former’s had a whirlwind last couple of years with releases like Killer Joe and Mud both being praised as career best performance’s and it’s safe to say that Dallas Buyers Club is a contender as well; the previously well-groomed star gives an electrifying performance as an alcoholic, drug and prostitute abusing electrician/rodeo cowboy. An odd mix, but one that works well as a central masculine character that is repelled by his new world of customers: the gay community. With this, Jared Leto is introduced as Rayon, a transvestite who’s also suffering from HIV. Leto’s feminine features play a part, but his movement and speech transformation make him completely believable in his dual situations as a glammed up woman and an unkempt drug addict. Both actors provide a huge amount of emotional gravitas to scenes when things aren’t going quite right and make the film’s serious storyline even more touchingly effective. 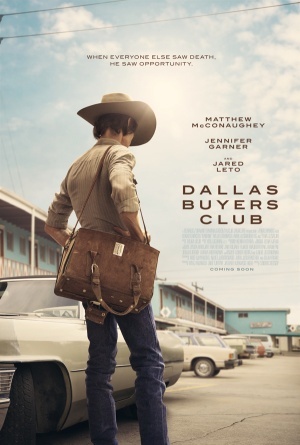 Dallas Buyers Club is an extraordinary story that pushes hidden truths of corporate dominance and HIV suffering to the forefront while using brilliantly honest characters to get these messages across. An important film extremely well executed. Do you think Dallas Buyers Club is worthy of its Oscar nominations? What are your favourite films about battling corporate giants? Let us know in the comments below.